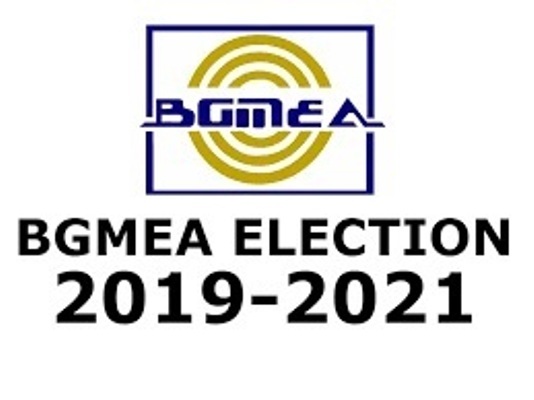 The Sammilita Parishad and Forum won all the posts of Bangladesh Garment Manufacturers and Exporters Association (BGMEA) in its biennial election for 2019-20. The elections were held on Saturday to elect the new leadership of the trade body at BGMEA Bhaban in the capital and its Chattogram office. Voting started at 8:00am and continued uninterrupted till 4:00pm as per sources, 1492 votes have been cast. Of them, 1204 are in Dhaka and 288 in Chattogram. The total number of voters was 1955. Of them, 1,597 were from Dhaka and 358 from Chattogram. For Dhaka zone, Swadhinata Parishad panel is vying for 18 posts, while Sammilita Parishad and Forum is vying for 26 posts. BGMEA board of directors consists of 35 directors. Nine of them were elected unopposed from Chattogram zone. MA Rahim Feroz (980), Rubana Haq (966), Arshad Jamal Dipu (953), KM Rafiqul Islam (952), Inamul Haque Khan Bablu (948), Miran Ali (942), Moshiul Azam Shajal (941), Mohiuddin Rubel (922), Md Nasir Uddin (913), Md Rezwan Selim (912), Md Kamal Uddin (909), Mohammad Nasir (908), Md Sajjadur Rahman Mridha (906), Md Munir Hossain (903), AKM Badiul Alam (901), Mohammad Abdul Momen (893), Md Shahidul Haque Mukul (892), Iqbal Hamid Quraishi Adnan (886), Md Shehabudduza Chowdhury (881), Masud Quader Mona (872), Md Mosharraf Hossain Dhali (859), SM Mannan Kochi (858), Sharif Zahir (858), Nazrul Islam (834), Asif Ibrahim (812) and Faisal Samad (809). AM Chowdhury Selim, Anjan Shekhar Das, AM Mahbub Chow, Mohammad Atique, Mohammed Abdus Salam, Mohammed Meraj-E-Mostafa, Enamul Aziz Chowdhury, Mohammed Musa and Khondaker Belayet Hossain. Zahangir Alam, managing director of Design and Source Limited, is leading the Swadhinata Parishad panel. Rubana Huq, widow of former Dhaka North City Corporation (DNCC) mayor Anisul Huq and managing director of Mohammadi Group, is leading Sammilita Parishad and Forum jointly.